When you purchase the stylish Eden Stairmaster, you are regaining the freedom of your home. Safety and comfort come first with the Stairmaster, it uses battery power which automatically recharges when not in use. This means it is whisper quiet, incredibly smooth and will function even in the event of a power cut. Phone one of our stairlift specialists or call into your local Eden store for free, friendly advice from our fully trained staff about how a stairlift could benefit you and have a demonstration on a fully working Eden Stairmaster in store. 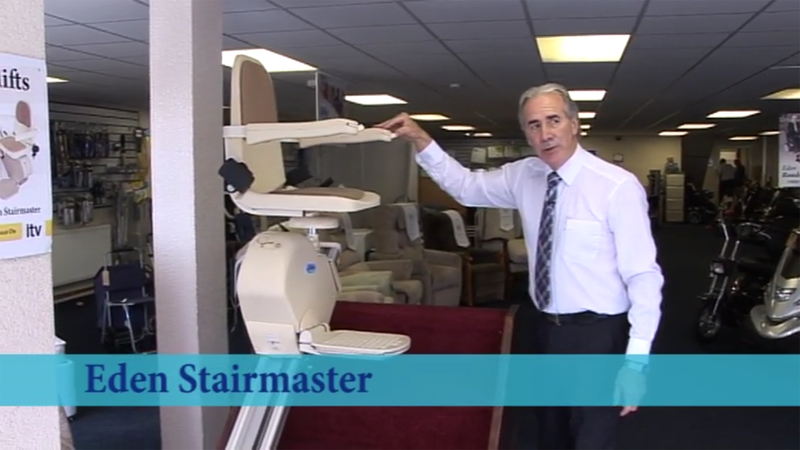 Call in to any of our 27 stores and try a fully working stairlift for yourself. We will consider taking almost anything in part exchange, call now for a free valuation.